Bu Pad Pong Kari is a simple recipe with a delicious unique flavor that many people in Thailand love so much that it's an addiction. 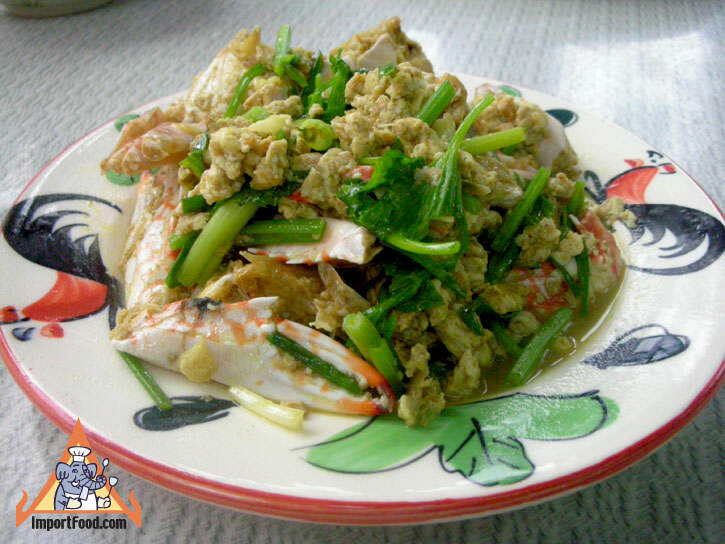 If you like Thai food, and you like crab, you must try it. Just be sure to use good fresh crab, and crack the shells before cooking (as shown in the video). 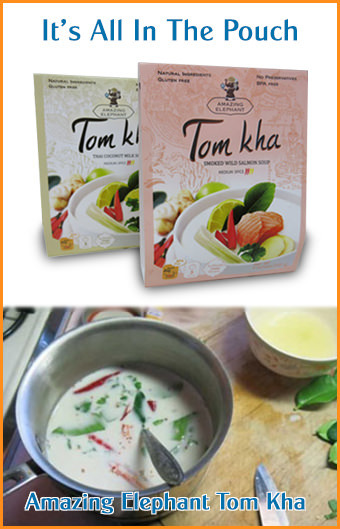 Thai curry powder is the main flavoring, so that must be used. 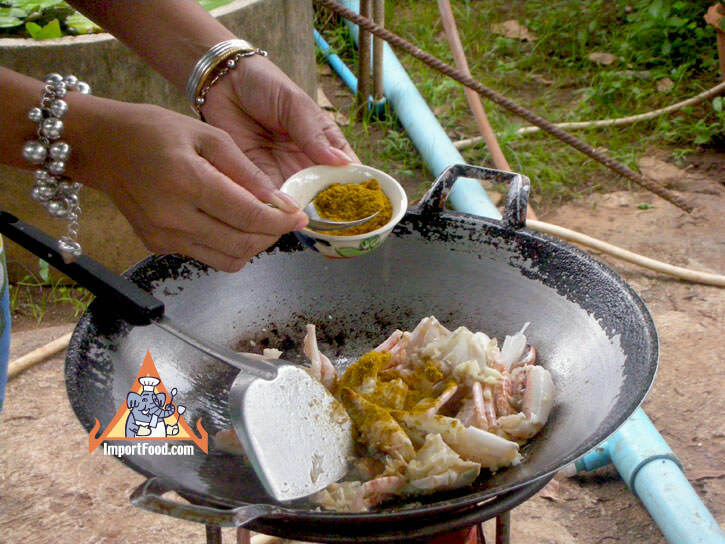 The video demonstrates a simple style of cooking bu pad pong kari, but as with any Thai recipe there are many variations. Below is our version which is just slightly different. Using coconut milk instead of fresh milk is another option. 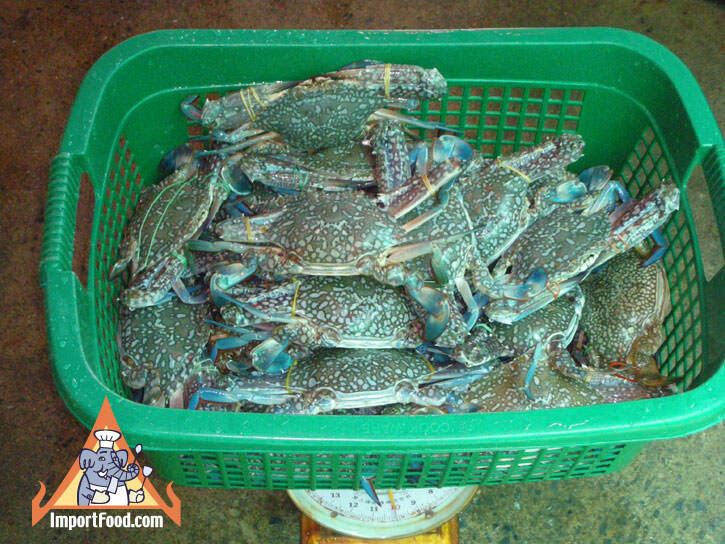 Wash the crab, remove the shell & internal organs, chop into large pieces, and crack the claws and legs. 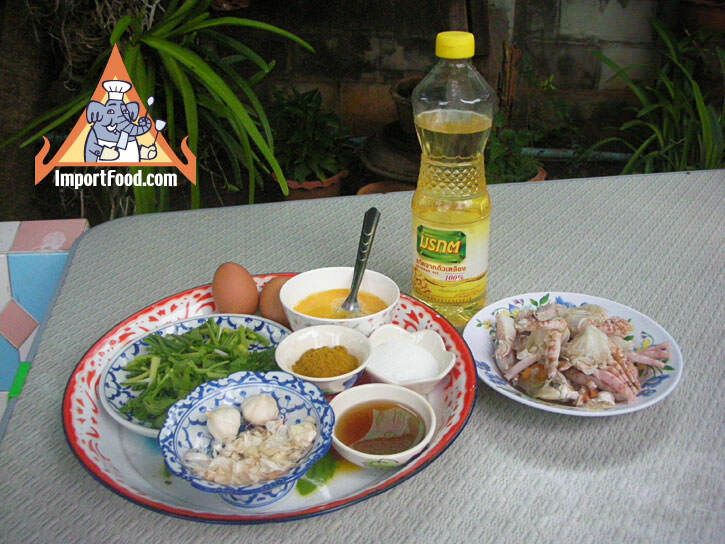 In a small mixing bowl, combine the milk, beaten egg and chili paste together. Set aside. 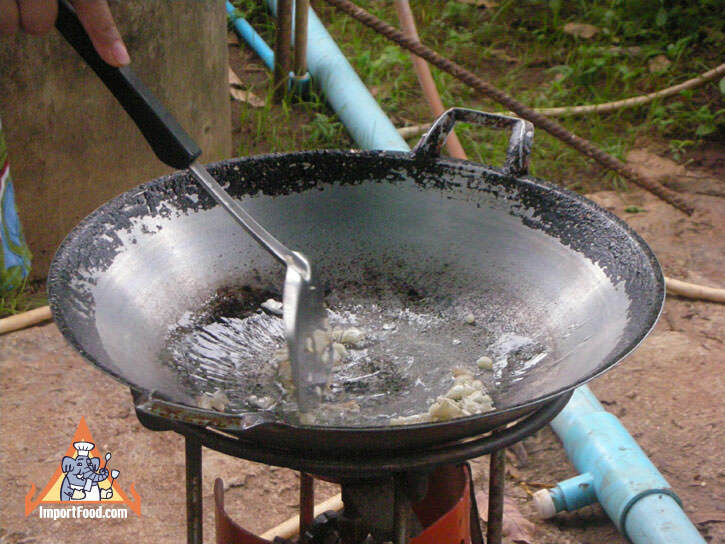 Heat oil in a frying pan over medium high heat, add garlic saute until fragrant (just a minute or two). 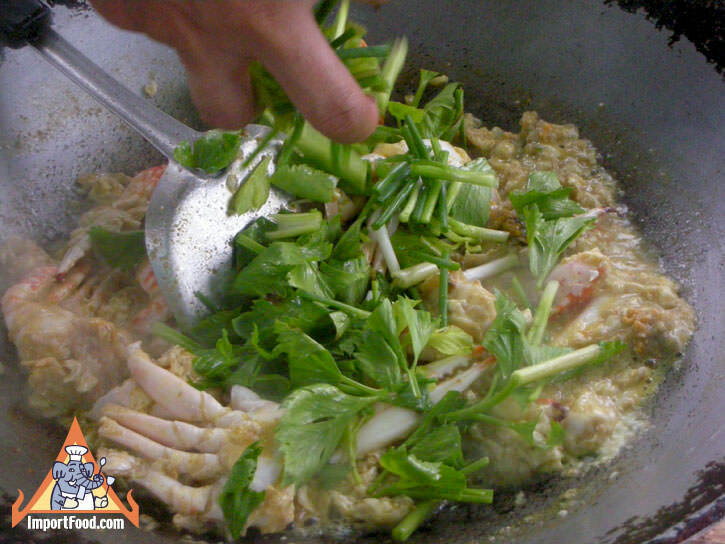 Add crab, stir a little bit then add Thai curry powder. Stir well, add water let it cook for 5 minutes. Pour in egg mixture and oyster sauce. 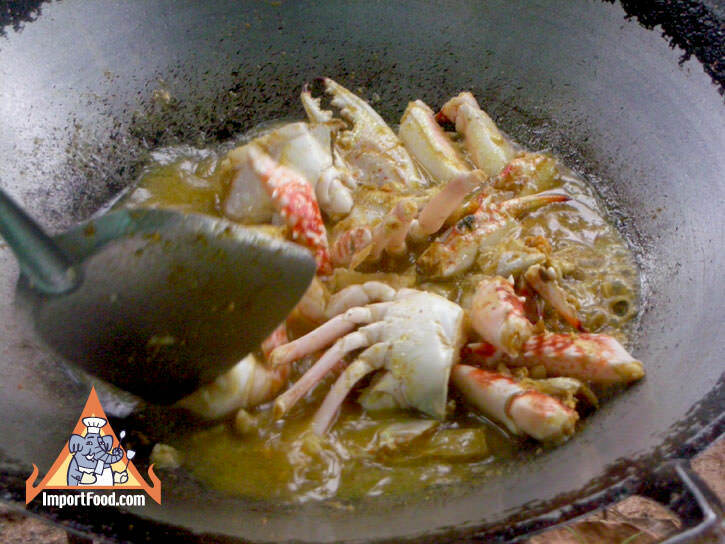 Stir quickly until done, about 6-8 minutes (longer depending on how big your crab is). Add greens, stir well. Sprinkle with Thai pepper powder, remove to serving plate. Serve immediately with steamed Thai jasmine rice. Enjoy!